Hey Holly Golightly: please put your hands together for......epsom salts! 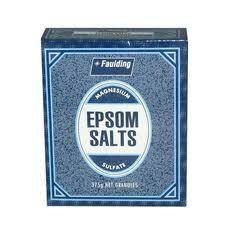 please put your hands together for......epsom salts! Epsom salts have been around for years. You will find them sitting on a supermarket shelf without fanfare. So what are they for? Well a host of applications actually, but the reason I have brought your attention to them here is because thof their powerful anti-inflammatory properties. They will help with aching muscles and fluid retention (so yeah you will look slimmer!). Pour a cup or two into a warm bath and soak for at least 20 minutes. For best results soak twice a week.